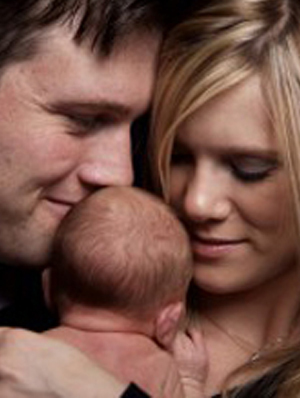 Fertility treatment sometimes requires or results in eggs, sperm (known as gametes) and embryos being cryopreserved. In particular, In vitro fertilisation (IVF) involves the creation of embryos outside of a woman’s body to assist the conception of a child. In Queensland, IVF and other assisted reproductive technologies (ART) are regulated through the National Health and Medical Research Councils Ethical Guidelines on the Use of Assisted Reproductive Technology in Clinical Practice and Research (NHMRC). These guidelines also deal with matters regarding gamete and embryo storage. When gametes are stored or embryos created through IVF the general intention is that they will be used with the aim of creating a child. However, those gametes or embryos that are not used will remain in storage. Individuals and couples can be faced with making what can be a difficult decision about the future of these gametes/embryos at the end of their permitted storage period. How Long Can I Store My Gametes? The NHMRC guidelines outlines that it is not desirable to leave gametes in storage indefinitely. Point 8.3.1 of the guidelines states that Gametes should be kept in safe storage for up to the maximum time specified in the clinic’s consent after which, if the gamete provider (patient) has not consented to further storage arrangements, clinics may dispose of the gametes. Fertility Solutions policy states that Gametes can be stored for a maximum period of 10 years with an option to renew storage for a further 5 years; equating to a maximum of 15 years storage. The option to renew storage must be made to the clinic in writing before the maximum storage period elapses. How Long Can I Store My Embryos? The NHMRC guidelines outlines that it is not desirable to leave embryos in storage indefinitely. Point 8.8.1 of the guidelines states that embryos should be kept in safe storage for a maximum of five years with the option to renew consent for a further five years. Fertility Solutions policy states that Embryos can be stored for a maximum period of 10 years with an option to renew storage for a further 5 years; equating to a maximum of 15 years storage. The option to renew storage must be made to the clinic in writing before the maximum storage period elapses. How Do I Know When My Embryo Storage Period Is Due To Expire? Fertility Solutions will make contact with you every 6 months about any storage fees and consent matters during the storage of your embryos. Fertility Solutions will send you a reminder letter 6 months and then again 3 months before the maximum storage period has been reached. What Are Our Options At The End Of The Gamete/Embryo Storage Period? Individuals or both members of a couple may choose to allow their gametes or embryos to respectfully succumb (or expire) at the end of their storage. any of these reasons, which must be applied for in writing to the clinic. A storage extension must be applied for and granted by Fertility Solutions before the authorised storage period ends. What Special Reasons Can Be Approved By Fertility Solutions? Fertility Solutions requires that consent to the storage of gametes/embryos must relate to the probable future use (implantation) of gametes/an embryo, or probable donation of the gametes/embryo(s). There will be a wide variety of reasons for seeking to store gametes embryos beyond the maximum storage duration. To assist Fertility Solutions to determine if these requirements are being met and that there are special reasons for your application, it is recommended that the reasons for your storage extension are clearly described on the application form. Documents supporting your extension request should be included with your application. If you are seeking to extend the storage for your own use of your gametes/ embryos, it is suggested that you include a medical report supporting this option. If your intention is to donate your gametes/embryos for use by another person or couple, it will help the application process to include documents supporting this intention to donate. This may include a signed ‘consent to donate embryos’ form, or verification that you have started the counselling process prior to donation. Fertility Solutions requires that any gamete/embryo storage extension requests are received at least one month before maximum storage period is due. For this reason, it is important that you have given some consideration to your situation and what you wish to do with your gametes/embryos – it can be very difficult to have to make a hurried decision. If you wish to seek an extension of your gametes/embryo storage period and are not sure how to go about it, contact Fertility Solutions for more information. Who Has The Responsibility To Apply For An Extension? If you intend to store your gametes/embryos for your own use at a later date, or if you are intending to donate your embryos but a recipient has not yet been selected, you will need to apply for an extension to Fertility Solutions at least 1 month before the maximum storage period is due. What Happens If I Don’t Apply For An Extension? Fertility Solutions may not continue to store your gametes/embryos beyond the maximum storage period unless you are granted a storage period extension. If you have not made an application to extend the storage time to Fertility Solutions and the authorised storage period expires, Fertility Solutions may have to allow the gametes/embryos to succumb. What If We Can’t Decide What To Do With Our Gametes/Embryos? Some people find it very difficult to reach a decision regarding their stored gametes/embryos. Every person or couple needs to consider their particular situation. People facing these decisions are encouraged to have counselling with a Fertility Solutions Counsellor to discuss their options and to assist with decision-making. The clinic also has information that they can send to you about what you can do with your surplus gametes/embryos. Counselling will be required if you wish to donate your gametes/embryos to someone, but it also can benefit anyone who is considering what to do with their gametes/embryos in storage. Talking about these issues with other couples who have undergone IVF has also helped many people facing this complex decision. What If We Can’t Agree, Or Our Circumstances Change? In the situation where a couple is in disagreement, one of the couple must apply, before the end of the storage period, to Fertility Solutions outlining their situation. Ongoing storage fees will apply. Where Do I Get More Information About Embryo Storage? Fertility Solutions is able to provide you with assistance in completing an application and discussing your gamete/embryo storage issues. You can also visit the Reproductive Technology Council website www.rtc.org.au for further information and the National Health and Medical Research Council, at https://www.nhmrc.gov.au/guidelines/publications/e78.